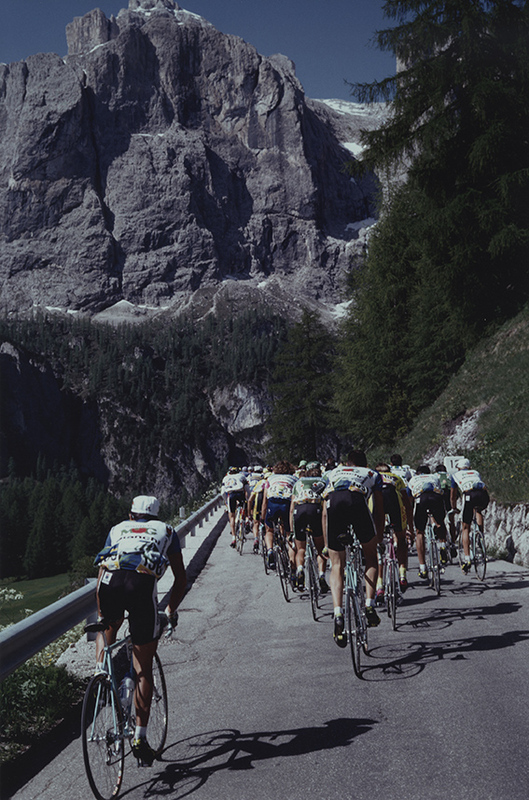 For the first time after 1954, the year in which the first television shootings of the Giro were performed, the RAI was not there. The RTI (Reti Televisive Italiane) owned by Silvio Berlusconi was contacted. 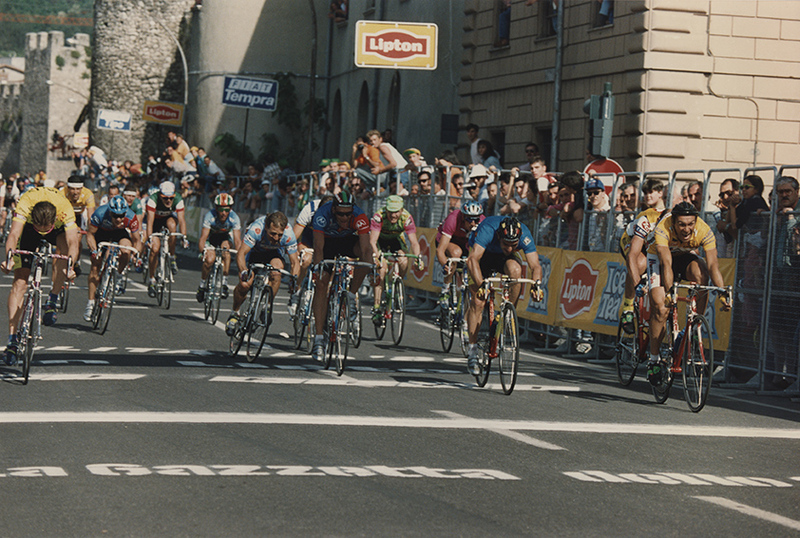 He had already been interested in the Giro, and the RCS Organizzazioni Sportive transferred the rights to the company of Segrate which entrusted Italia 1 channel to programme the event. At the same time, the advertising fund raising was managed by Publitalia ’80, an agency belonging to the same company. RTI gave a noticeable impulse and marked a turning point in interpreting the cycling race from a broadcasting point of view. Along with the race shootings, made with modern and technically advanced media, a variety of side programmes were designed, including the morning broadcast that had, as a location, the “Start Village”. 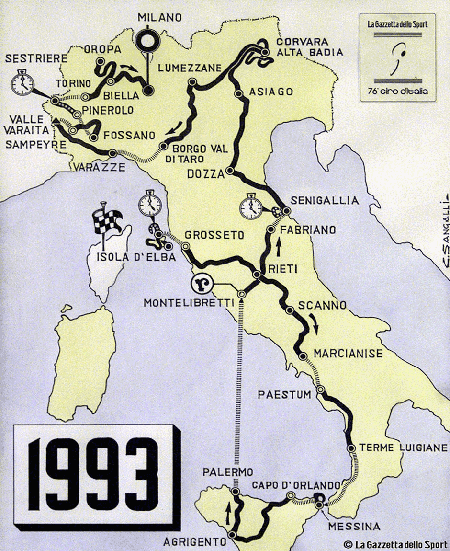 The start was given from Elba for the first time. 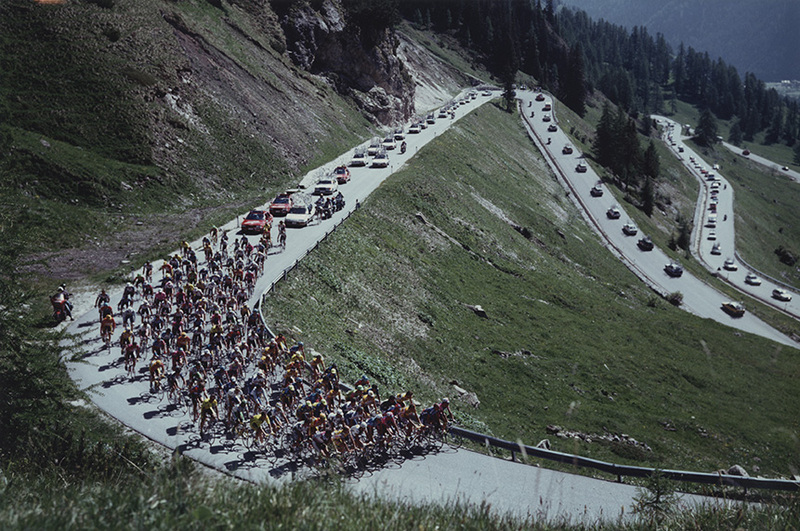 The Giro had shortly been there in 1980. At first the race was dominated by the Mecair riders, with Argentin in the forefront. 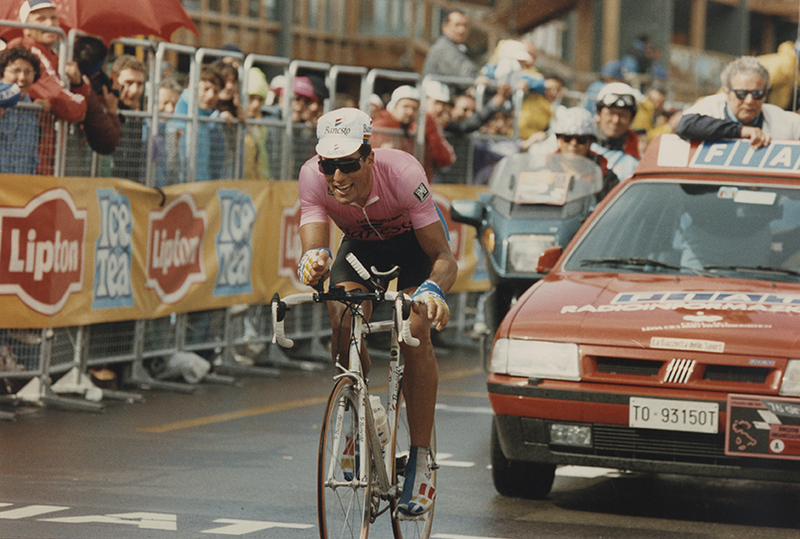 Then, after the Senigallia time trial, the racing was carefully controlled by Miguel Indurain, who performed a spectacular feat in the Pinerolo – Sestriere time trial, sealed his leadership and won the Giro for the second time in a row. 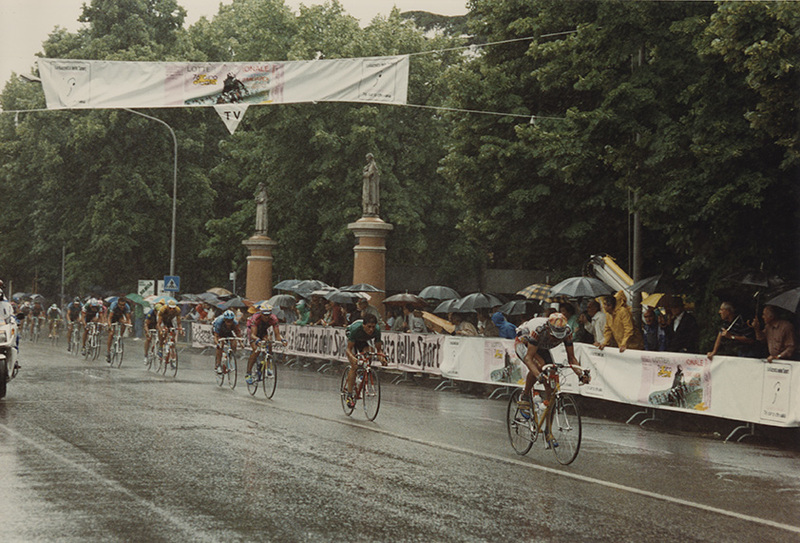 The performance of the Italian favourite riders was overshadowed, but Bugno was the one who disappointed the most, as he did not meet everybody’s expectations.